Tony Marino – the South Philly composer, pianist, and bandleader – has been passionately carrying the torch for his love of Latin Jazz sounds since the release of his debut Cd “Tony Marino & Havana Heat: The Latin Jazz Project” which was dropped in January 1997. The artist who fell in love with the piano at just 7 years of age, has since recorded 10 more albums. Each bringing to the fore his songwriting and performing skills learned over the years, after crossing paths with Bill DelGovenatore, Frank DiBussolo, Al Stauffer, Tom Lawton and Ernest Hopkins – all of whom had an influence on fueling Tony’s passion for the craft. 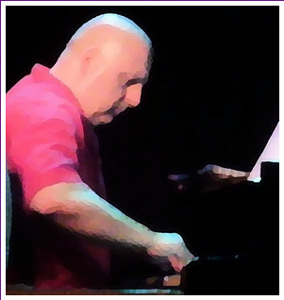 In today’s jazz music world, Tony Marino is a rarity, as a disproportionate percentage of the best jazz piano players now come from Spanish-speaking countries. And to top it all he tackles them on their own turf, as he turns out song after song made up of brightly colored, Latin-flavored compositions. Tony Marino’s latest album “Family and Friends” amalgamates Caribbean and Brazilian styles alongside his Jazz roots, which play to his strengths, showing off his monster chops and the infectious joy he takes in displaying them. He tickles, strokes and pummels the keyboard, moving between joyous bombast to melodic melodrama and climactic flourish. It is a wildly rhythmic demonstration of every crowd-pleasing twist in Tony’s bag of ivory tricks. 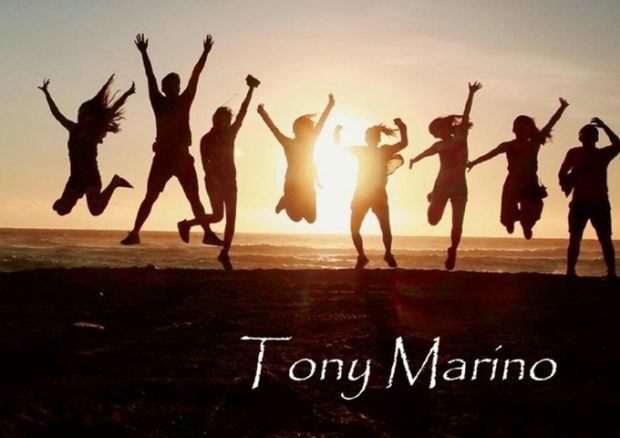 For over 20 years, Tony Marino has been successfully turning a blend of Latin rhythms and jazz harmonic textures into exhilarating energy, something he achieves with clever and vivacious fun on this album. The album kicks off with a lively rhythm – the title track, “Family and Friends” – written by Mr. Marino – as are all the other 8 songs in this collection. Tony’s left is rock solid, the melody is infectious and he sounds right at home in this fast moving idiom. 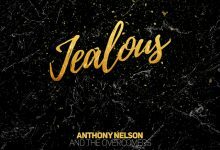 Equally exciting is “Your Bad Self”, which he plays straight and very impressively, keeping that timeless rhythm while flowing with loads of creative ideas from his right hand, supported by a dominant bass. The elastic Latino beat in “Sam’s” is just begging to take you to the dancefloor, I can hear in my mind a big band caressing these passages in a dancehall setting and Tony exploding on the crescendos. As beautiful as that composition is, the best moments on the album come when Tony gets to show off his rhythmic prowess. “Rita We Miss You” manages to be grandiose and intimately bluesy all at once. “Hanging With Rosie” is where Tony manages to make us feel the intense percussiveness of the tune. “Champ” is a powerful joy with rumbling left and right hand voicings that virtually leap from the piano. He takes “One For Bill” to knotty, shifting time signatures, once again, showing off his stunning left hand work. “Waltz for Kristina” is a beautiful composition to begin with, and Tony’s performance treats it with both the sensibilities it deserves – starting subtly and letting the performance grow in power and dynamics, before coming around full circle. The album closes with “Gary”, which again features some absorbing bass playing. This makes a solid backdrop for Tony’s enticing melodies and charming progressions. It’s a fitting conclusion which features Tony Marino at his most accessible and lyrical. With never a dull moment, here’s a pianist, composer, and bandleader, who only gets better as he matures. Tony is a great pianist, no doubt, but this album is beyond mere technical skill. This is about the ability to wordlessly convey meaning and emotion. 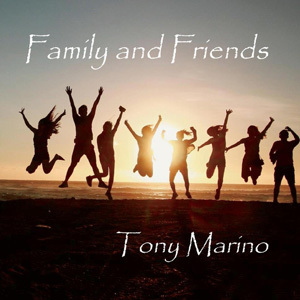 The album, “Family and Friends”, is typical of Mr. Tony Marino – artistry, taste and entertainment. d’Z: “Connected” – sparkling funky rhythms! Corners of Sanctuary: “Metal Machine” – old-school metal at its best, upgraded and tweaked! Danny Newport: “Party” – one of those collaborations where something magic happens!